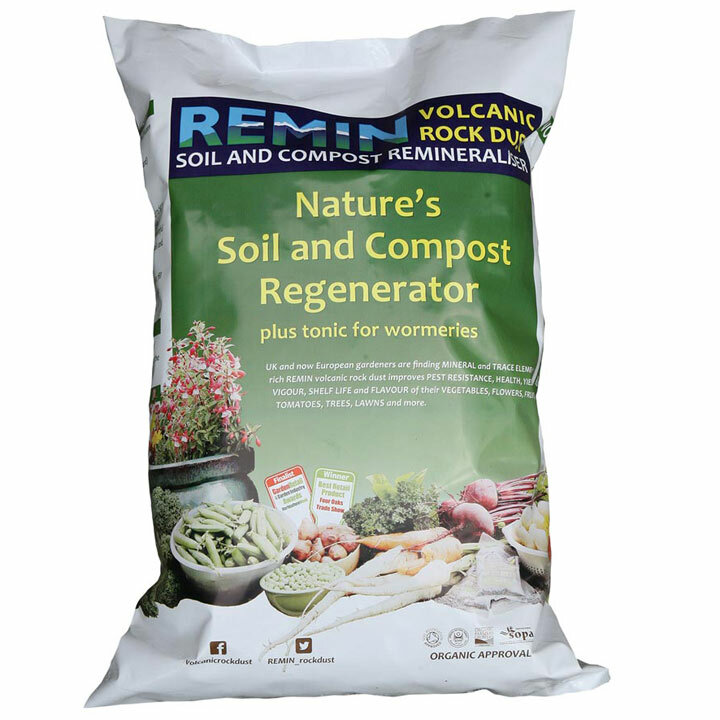 Nature's Soil and Compost Regenerator and tonic for worms. 100% freshly crushed, ancient, mineral-rich volcanic rock dust from Scotland. MINERALS and TRACE ELEMENTS often referred to as the foundation of health, are the smallest of soil's 5 components. They are in decline in our diets. Many NPK (nitrogen, phosphorous, potassium) fertilisers are known to damage the soil's LIVING ORGANISMS, but plants need these LIVING ORGANISMS to release the soil's MINERALS and TRACE ELEMENTS. Without MINERALS and TRACE ELEMENTS plants, like us, become weak. Plants are then given what can be toxic pesticides and herbicides to help them grow. volcanic rock dust contains a vast range of MINERALS and TRACE ELEMENTS in their natural form i.e. what LIVING ORGANISMS and plants need for good health. We can learn from volcanic soil. Soil close to geologically recent volcanic activity is often found to be very rich and productive. TOP DRESSING: Spread at any time of year unless frozen or windy conditions. Minimum: 0.5kg / m² (good handful / square yard) = 2tonnes / acre. Booster: 2kg / m² = 8tonnes / acre. MIXING: Mix well with compost/soil at 1 to 2kg per 50Litres of compost. Lower amounts for younger plants. Do not inhale. Sprinkle small handful per 30cm² (1ft²) onto the surface of your wormery every month. Try a small area with this amount and see the worms congregate. Each time you add a new layer of compost to your compost bin or pile, add a light covering over the surface that you can easily see through. 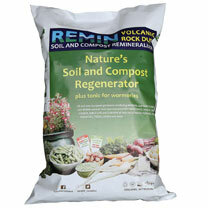 Helps gardening material break down into compost faster, reach a higher temperature and reduce odours.